We recently wrote about the new Chase Iberia Plus card. That comes with a sign-up bonus of up to 75,000 Iberia Avios points after meeting tiered minimum spending requirements! In addition to its big welcome bonus, there’s one perk that definitely stands out: the $1,000 discount voucher to use towards 2 tickets on the same flight after spending $30,000 on purchases in a calendar year. 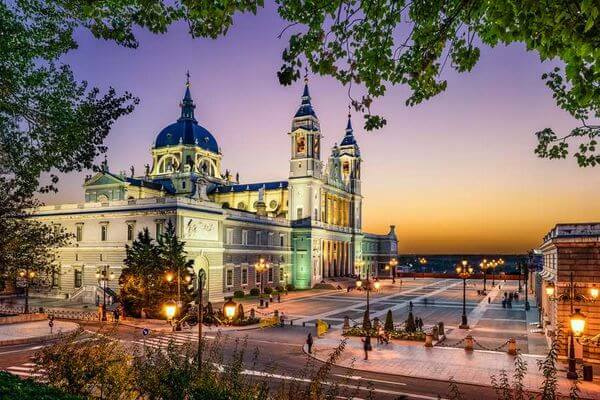 Iberia Avios Points Can Be Great for a Trip to Europe Because Iberia’s Hub Is Located In the Magical City of Madrid! That’s an excellent question, Shana! Let’s dig a little deeper into how this great perk works. 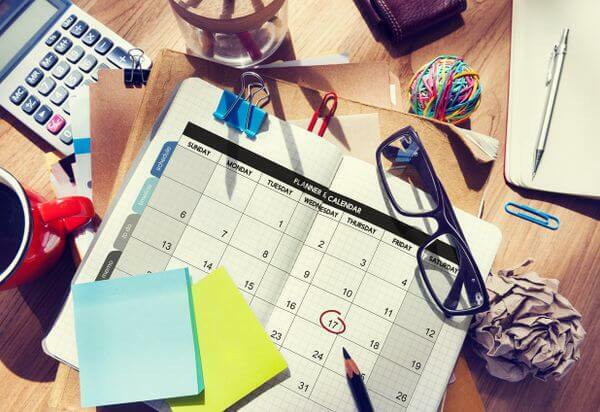 To earn the voucher from the Chase Iberia Plus card, you must make at least $30,000 in purchases within a single CALENDAR YEAR. This means the purchasing period is from January 1 to December 31 each year. So if you sign up for the card in September or November, you will only have from that time until December 31 of that year to hit the $30,000 purchase requirement. Every January 1 your spending total resets, and you begin working again towards the purchase requirement. All purchases must clear (not be pending) by December 31 to be eligible towards the total. 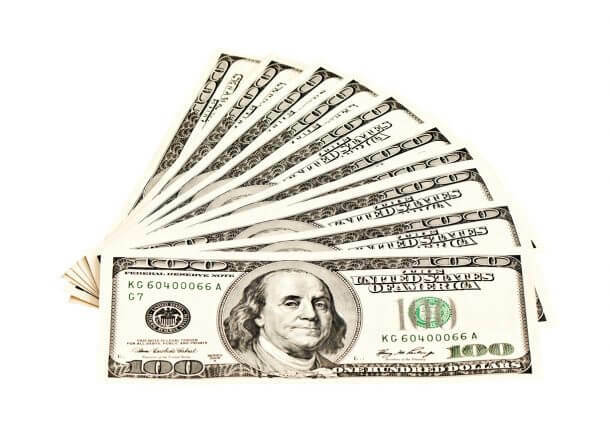 Chase does NOT count money spent towards annual fees, interest, disputed charges, or cash advances towards this total. Also, folks are only eligible for 1 voucher per calendar year. So, for example, spending $60,000 in a single calendar year will NOT earn you an additional voucher. What Restrictions Does the Voucher Have? There’s always a catch, right? Sure, there are restrictions. But this perk could be incredibly valuable if you can maximize it! As you can see, this voucher opens up a tremendous opportunity to get Big Travel with Small Money! Essentially, it’s like a $1,000 off coupon for any 2 tickets on an Iberia flight. Saving $1,000 on 2 Tickets Is No Small Potatoes! For example, if you find 2 tickets for ~$500 each, then you would be able to fly nearly free using this voucher. Because you’d only pay the taxes and fees for the tickets. The voucher simply deducts $1,000 from the base price (excluding taxes and fees) of the seats. Additionally, the voucher is valid for any class, making this a great way to get yourself an affordable upgrade to Business or First Class on your next trip! How Do You Redeem the Voucher? Once you meet the $30,000 spending requirement it will take 4 to 6 weeks from the end of that billing period to get the voucher. 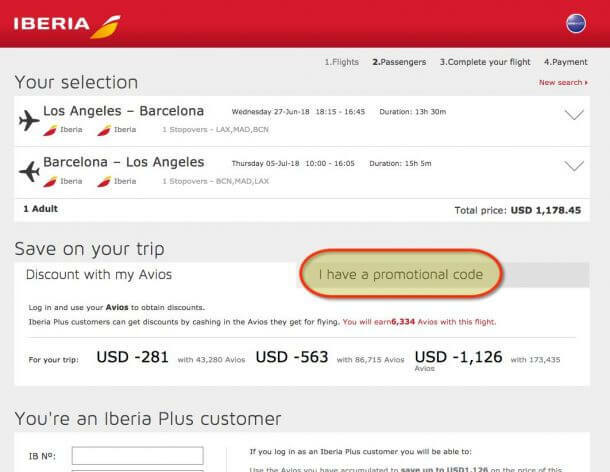 The voucher will be sent via email from Iberia (NOT from Chase) congratulating you and providing a one-time use code that can be redeemed online. The voucher expires 12 months after its date of issue. So be sure to use it within a year of receiving it! To redeem the voucher, go to iberia.com/Chase10 and search for the flights you want. Go to Iberia.com/Chase10 to Redeem Your Voucher. Or to Save 10% Off Any Flights Purchased With Your Chase Iberia Plus Card! Once you find the flights you’re looking for, select them and click the “Continue” button on the bottom of the page. The next page will summarize your flight selection. Just below the summary, you’ll see the title “Save on your trip.” From there, select the “I have a promotional code” tab on the right to reveal the discount code box. You’ll then see a box where you can enter your discount code. I recommend copying it from the email and pasting it into this box to make sure it is entered correctly. Click “Check Code,” and your $1,000 discount will be applied. You can finish your purchase like usual now, saving $1,000 off your trip! If you have any problems using the code, you need to call Iberia at 1-800-772-4642. Because Chase can’t assist with any issues involving the voucher. With the new Chase Iberia Plus card you can earn up to 75,000 Iberia Avios points after meeting tiered spending requirements. Plus get other other perks, like a $1,000 voucher to use towards 2 tickets on the same flight after spending $30,000 on purchases in a calendar year. Just remember, you have 1 full calendar year to meet the spending requirement to earn the voucher. 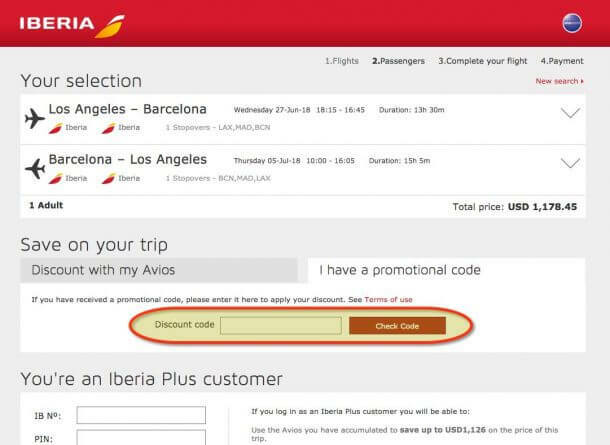 After doing so, you’ll receive the voucher code via email from Iberia. Redeeming the voucher is as simple as entering the code into the discount code field at checkout. You can read our full review of the Chase Iberia Plus card here. Emily and I don’t earn a commission for this card. But we’ll always let you know about any great way to get Big Travel with Small Money! The expiration date is one year. Does that mean you have to travel by that year or can you book by the end of the year to travel later? 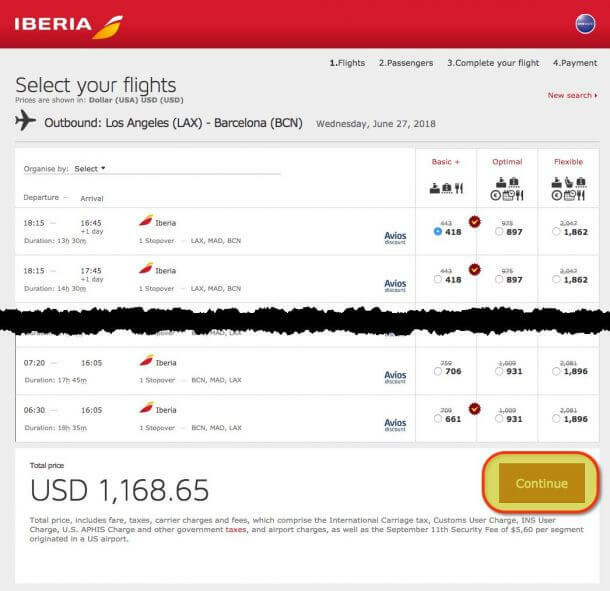 Looks like Iberia/com/Chase10 only allows to use an inboard airport from US, thats a very down side, I was thinking in going from another country to Europe to use the coupon , also I was comparing rates to see if apply the 10% off and I don’t see any difference with the regular Iberia.com , do the 10% apply as a refund in the credit card ? Does it allow stop overs? like flying to Morocco or any other Iberia’s destination with a 1-week or more stop in Madrid, or even better, continuing from Barcelona ? The stopover rules should be the same as for paid flights with Iberia because the voucher is a discount of a cash ticket not an award redemption.